Kiwirrkura is a small community in Western Australia in the Gibson Desert, 1,200 km east of Port Hedland and 850 km west of Alice Springs. 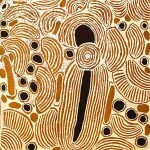 It has been described as the most remote community in Australia. 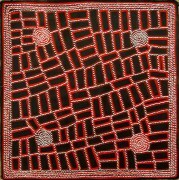 Kiwirrkura was established around a bore in the early 1980s as a Pintupi outstation and became a permanent community in 1983. 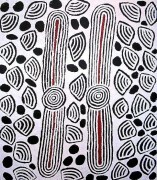 The last nomadic Aboriginal people, known as \'The Lost Tribe\', came into Kiwirrkura in 1984. 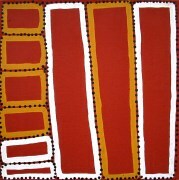 Acclaimed artists, brothers- Walala, Thomas and Warlimpirrnga Tjapaljarri were amongst the group of nine. 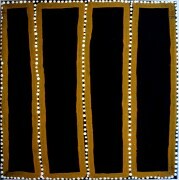 Many other Pintupi artists have emerged from Kintore and Kiwirrkura and are at the forefront of contemporary Aboriginal art.